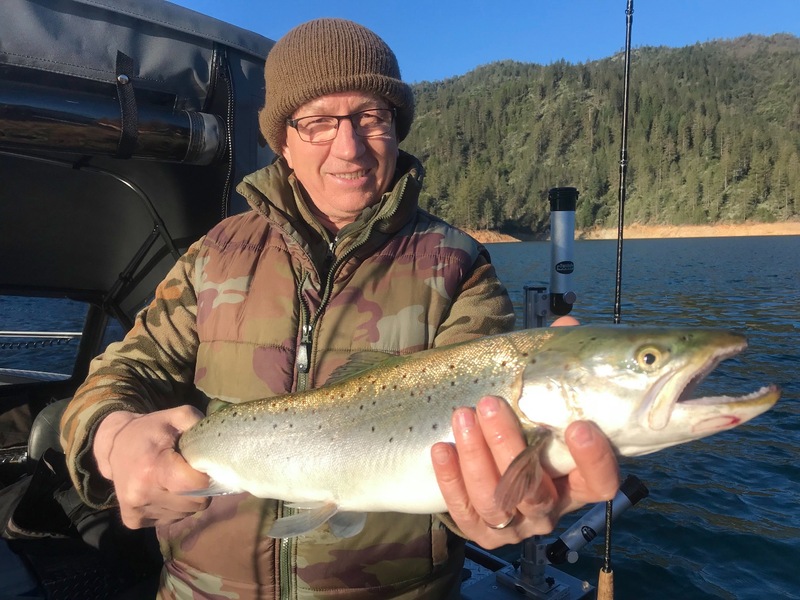 Shasta Lake brown trout in the warm sun! Peter Gergi of Sacramento caught this nice brown with a black/white Optimizer spoon! Today we fished Shasta Lake for brown trout. All things considered, we had a good day on the water, but the conditions for chasing big browns just wasn't there. Bright moon at night and bright sun during the day are less than optimal. We had wind on the water most of the day and that saved us for sure. Three browns hooked with two landed by Sacramento angler Peter Gergi. We caught several rainbows and a few bass but neither were noteworthy. Things will improve with a smaller moon, cloud cover, rain and or some gloomy weather. Until then, we'll just have to keep working for them. Our best brown of the day was caught using a black/white www.optimizerlure.com. 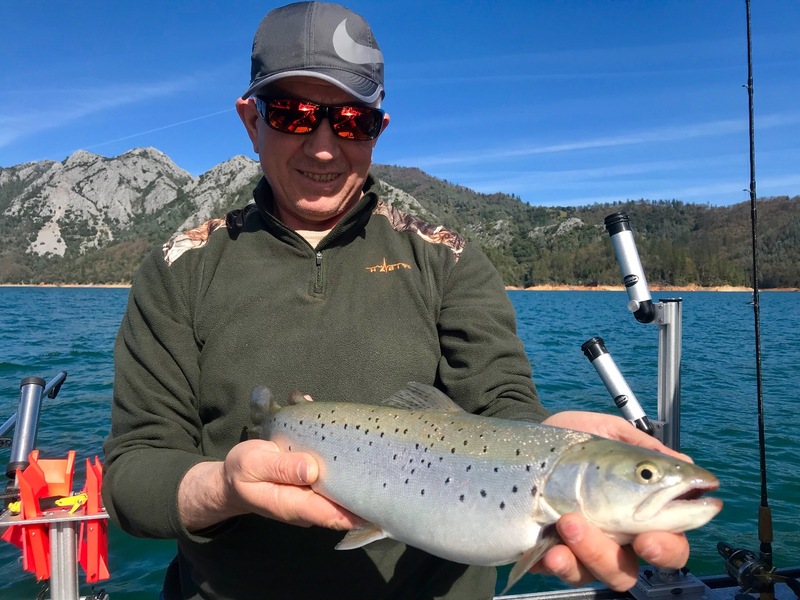 Shasta Lake browns still biting! Shasta Lake fishing top to bottom!